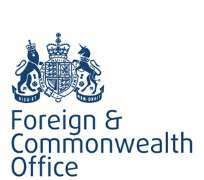 LONDON, United-Kingdom, June 30, 2015/African Press Organization (APO)/ -- Tobias Ellwood condemns attack and offers his condolences to families of the victims. I wholly condemn the sickening attack that killed Egyptian Public Prosecutor Hisham Barakat and injured a number of others in Cairo. I send my sincere condolences to the families of all the victims. The UK continues to stand with the Egyptian people in confronting the threat from terrorism and the extremist ideology that inspires it.